A key area of Kott Software domain knowledge and technology services focus specifically on Human Capital Management Solutions. Our services help global HR organizations and departments increase operating efficiency and improve workforce performance by improving processes, speeding implementation and increasing ROI on HR and talent management. Unleashing the power and potential of your global talent base goes beyond just hiring the right people for the right job. This needs more structure and organised approach using technology. We integrate the best of breed Human Resource solutions in the market. The solutions range from Onboarding, Offboarding, Background screening, Online verification, Application tracking systems, Payroll, Benefits and more. Kott Software has been actively involved in designing, developing and supporting well-known human resource solutions in the market, including SAAS based applications. 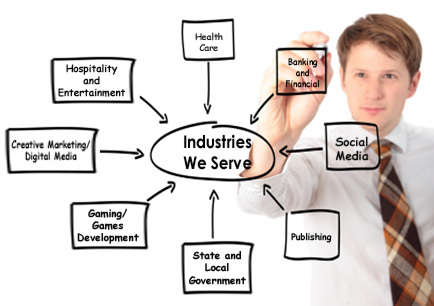 The domain expertise in this sector helps us add value to each of our customers. Most of the solutions are cloud based solutions and have millions of employee records which are processed through these enterprise level systems.